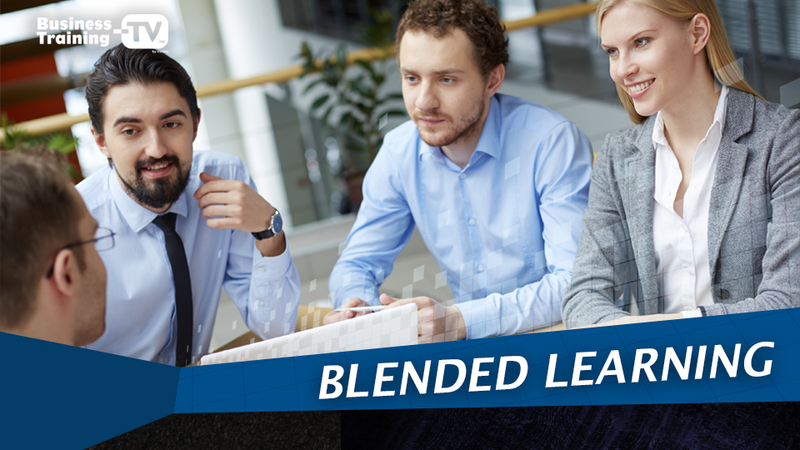 While many people out there may not be overly familiar with the term Blended Learning, most of us are well acquainted with the concept. It is a combination of different learning systems, like incorporating online training platforms, and video-based eLearning like Business Training-TV with the traditional sort of in classroom, in person, teacher-student model of learning. Freshly blended orange juice is great; no doubt, but blend in some stone fruits and berries, maybe a vegetable or two, and you’ve got yourself a juice that not only meets your daily intake needs, but is far more memorable than a stock-standard OJ. There are a ton of reasons to incorporate such an approach, for one, blended learning provides a much higher level of engagement from learners. It’s no secret that in any situation from school classrooms to corporate training sessions that listening to an instructor lecture you for hours on end about often pretty dry subject matter can grow tiresome very quickly. But as a broadsheet’s provocative pictures persuade you well before the pejorative predispositions of the reporter’s jingoism does, media like eLearning video content grabs the learner’s attention and hastens comprehension of theory with practical models. Everybody is different and each of them learns differently; at different speeds, in different ways, how each person processes information is different to the next. A blended learning environment that harnesses a platform like Business Training-TV (BTV) caters for these individual styles and requirements of learning, meaning that everyone can work at the own pace without feeling like the herd’s lagging zebra with a lioness juggernauting behind. There’ll be fewer nods pretending to get it and more that actually do. The neat and navigable BTV platform is perfect for a blended learning environment, and an invaluable asset to both instructors and learners. Blended learning approaches allow for a firmer and more comprehensive indication of the progress of each leaner at every step of the way, while eliminating the time consuming process of constantly referring to and reviewing every past detail individually. Blended learning also helps where feedback is concerned; because it is easier to identify and isolate trouble areas, it is easier to develop more beneficial and specific feedback for the learner. Kind of like a conductor being able to single out the instrument, the string and the flat note in need of sharpening in the middle of a symphony. I have mentioned that training and teaching situations can be dull, I won’t repeat that, but they can be. With a blended approach that incorporates video and audio and visual presentations, at the risk of sounding like a commercial, learning can be enjoyable! Exciting! And engaging! Adding an interactive element or visual component into a learning situation is like mixing kool-aid into the water jug; tap-juice is good and hydrating and all the rest, but with two-parts of its ten now raspberry sugar... forget about it. A blended learning situation simultaneously hands both the instructor and the leaner more control, with the teacher reaping the benefits of the reporting system and the learner having the comfort of working at their own pace. Having a greater command over the process generally means increased interest and greater understanding; it also adds another level of accountability, making the learner more responsible for their own learning again increases interest and also reduces the risk of such excuses as the teacher doesn’t like me. So, there you go. Remember, as one person can hold such an array of titles like child, sibling, parent, spouse and friend; so too can learning be a multiplicity of things: it can be both interesting and informative, engaging and exciting; and most of all, it can be blended.